The Congressional Budget Office recently released its long-term budget outlook. This report should have sparked a national discussion about the impact of societal aging, but big media largely ignored it. Fortunately, there are signs that smart investors are hedging this failure by investing in regenerative medicine (RM). Over the last few years, the CBO has emerged as one of the few grownups in the room. 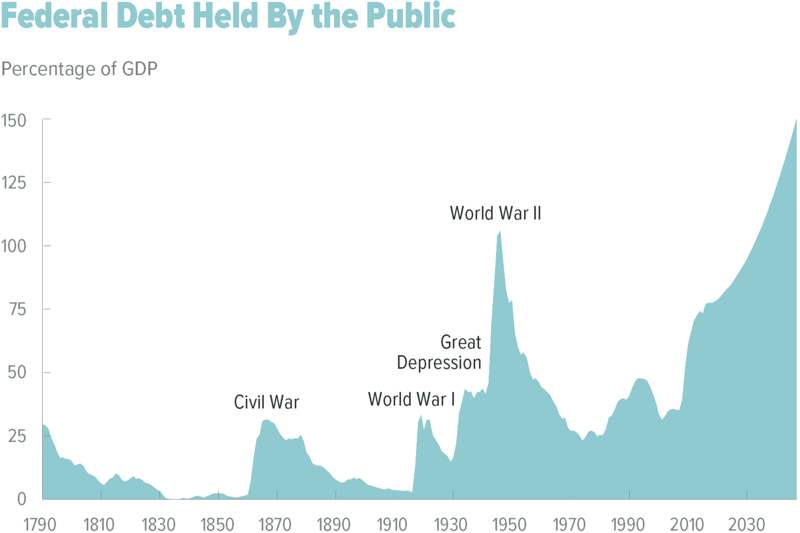 Its annual budget projections have focused on population aging as the main driver of US federal deficits and the debt. The “The 2017 Long-Term Budget Outlook” goes even further. The measured language of the report is what you’d expect from a policy shop. But we should be worried by the core message. Mandated levels of transfer payments for an increasingly older demographic are crippling the federal government and the private sector. Most troubling, the CBO warns that this is causing economic instability. As a result, a cascade of devastating financial crises is more and more likely. It’s ironic that spending on needy young people is projected to fall as a percentage of GDP. Only three parts of the budget are growing in relation to the whole. They are Social Security, major health care programs, and net interest. Social Security is clearly about the aged. Less obvious is the increase in healthcare costs, which is about the same group. The CBO says those costs will continue to rise. The reason? We are living longer and new treatments for previously untreatable age-related diseases will continue to emerge. In other words, new drugs will extend life expectancies for sick aged people. As a result, healthcare and Social Security costs will grow even more. Do the math and we see the eventual cannibalization of the entire economy and federal budget. This won’t happen, of course. Long before then, the economic dominoes will be triggered. This will put an end to investor willingness to finance further debt at reasonable costs. Here’s a quote from the first page of the CBO report. As much as I appreciate the CBO’s warning, the group doesn’t tell the whole story. Even if dramatic cuts are made to benefits for the aged, it will only slow the meltdown. Long-term demographic trends will continue. Life expectancies will keep rising as birthrates fall. Japan is ahead of the curve in terms of demographics, but we’ll soon get there. And we should understand that Japan has failed to produce political solutions to its budgetary woes. Japan is looking at this problem through a different lens. These economic issues can be solved by addressing aging itself. Japanese lawmakers have instituted progressive approval for regenerative medicine (RM). That means after successful safety trials, RM therapies can be approved. Data will then be collected and made public. Critics of progressive approval claim it could legalize ineffective treatments. The Japanese believe the risk of delaying true anti-aging therapies is greater than the risk of approving ineffective treatments. Japanese leadership seems to have had a major impact on the investment community. One reason is that US firms are eyeing the prospect of gaining much faster approvals in Japan. This has major financial implications for RM biotechs. Only two years ago, Fed Chair Janet Yellen threw cold water on biotech, when she compared it to overheated social media. I think Yellen was wrong. Her off-the-cuff comment hurt startups struggling to find funds in order to survive. On the other hand, economist John Mauldin has long predicted that there will be a bubble following the public’s realization of the power of emerging RM. But bubbles aren’t uniform things. History teaches us that under- and overvalued companies exist at almost all times. Some of the companies covered in the Goldman report seem overvalued to me. Analysts, though, are frequently wrong. We never know what a company is truly worth until its products are judged by consumers. The Goldman report discusses Samumed, a private RM company. With $300 million in funding, it’s valued at a staggering $12 billion. Samumed’s drug platform aims to regenerate various tissues, such as bone, cartilage, hair, and skin. As Samumed is not yet public, my interest in the company is academic. The larger question is what it means to more established RM companies. The original RM company, Geron, is now folded into BioTime subsidiary Asterias. BioTime (*see disclosure below) is the core of my RM portfolio. This is largely because of Michael West, who pioneered the SCI therapy at Geron over 20 years ago. To date, West’s stem cell treatment for spinal cord injury is the most successful example of RM, but it’s 20 years old. Since that time, West’s research has progressed much further. Last week, BioTime announced a new subsidiary, AgeX. AgeX has a range of stem cell IPs aimed at conditions such as cardiovascular repair and diabetes. The true goals of AgeX, though, are much more radical. West intends to reverse aging … hence the company name. He believes he can reactivate embryonic gene pathways to completely regenerate limbs and organs, including eyes, joints, and hearts. This was foreseen, by the way, by American geneticist and embryologist Thomas Hunt Morgan, who won the 1933 Nobel Prize in Physiology or Medicine. His book, Regeneration, is online here. AgeX’s induced tissue regeneration technology would not only regenerate damaged and missing tissues. It would turn back the biological clock of aging. West’s most comprehensive public treatment of this new science was given in his keynote address at the 2016 World Stem Cell Summit. If he’s right, we’ll still have lots of problems, but the CBO’s warnings about the cost of age-related diseases won’t be one of them. — New CBO Report Justifies Booming Regenerative Medicine Investment originally appeared at Mauldin Economics. NextVote Now: Did Obama Wiretap Trump?